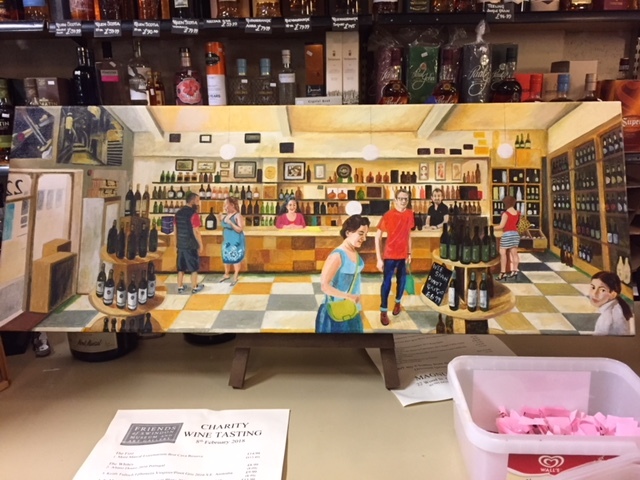 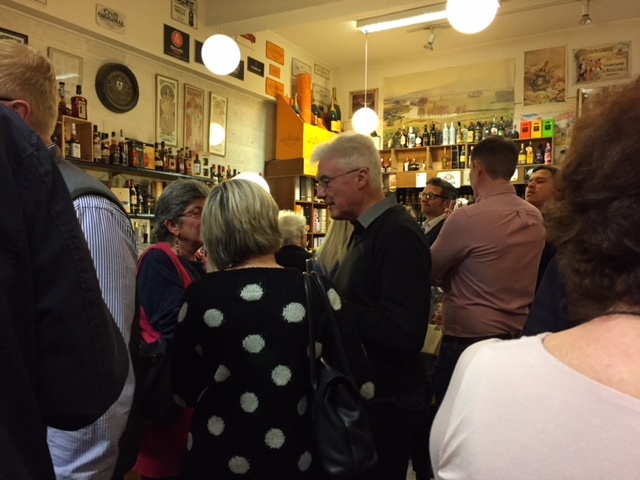 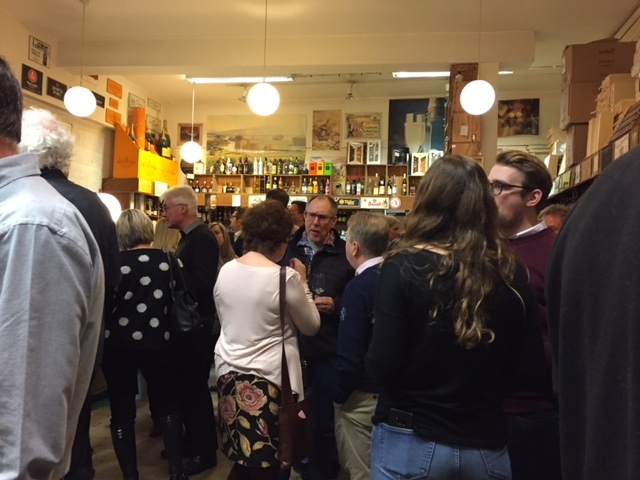 February saw us have a very pleasant evening at Magnum Wine in Wood Street, for our first event of the year which was a charity fundraiser. 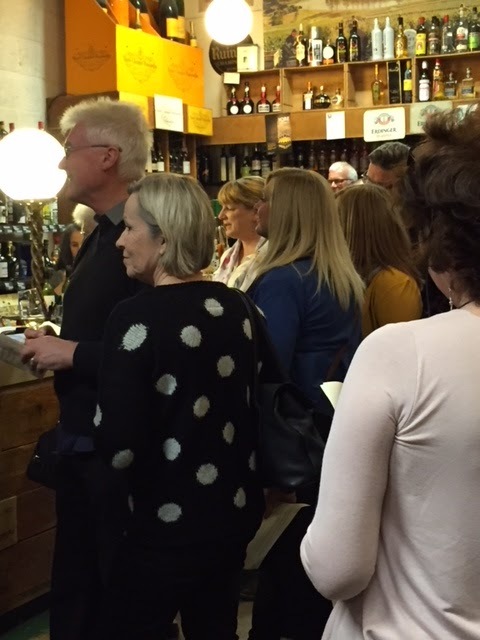 Brian Saunders, owner of Magnums introduced us to a selection of hand picked wines and led us gently through the tasting, encouraging a swirling of a glass here, a sniffing there, until we were able to drink more intelligently than before, possibly! 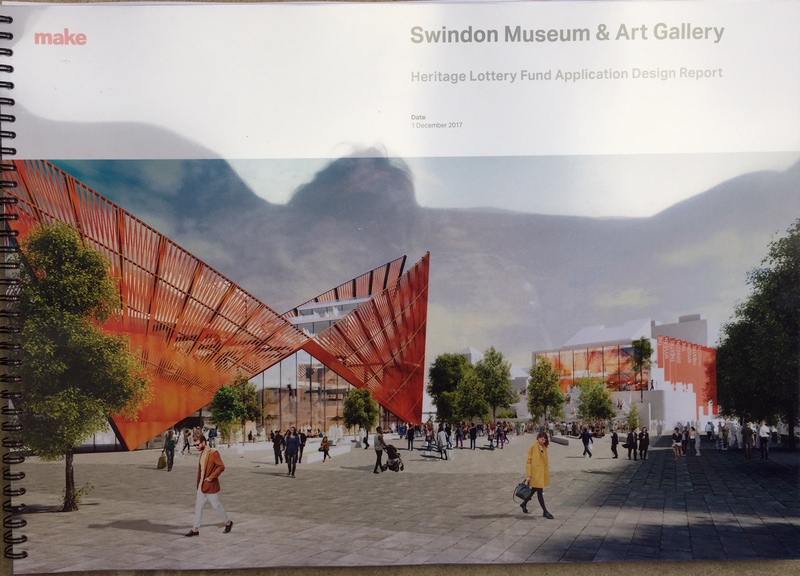 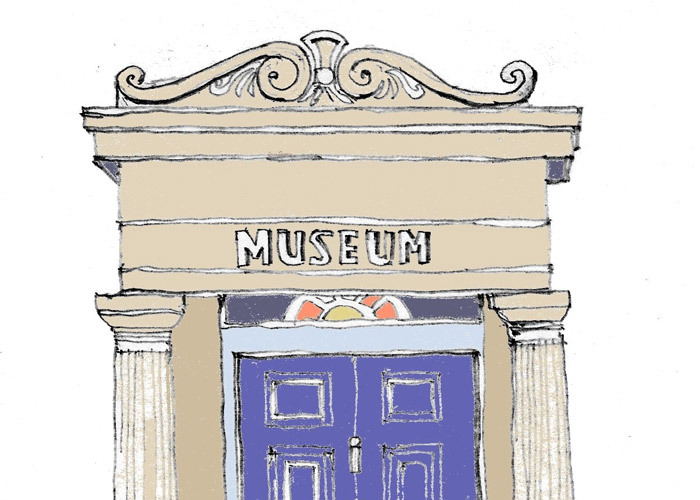 There was a great mix of Friends of Swindon Museum and Art Gallery, and people who had bought tickets from Magnum and didn’t know very much about the current museum, or the plans for the new one, but were keen to know more. 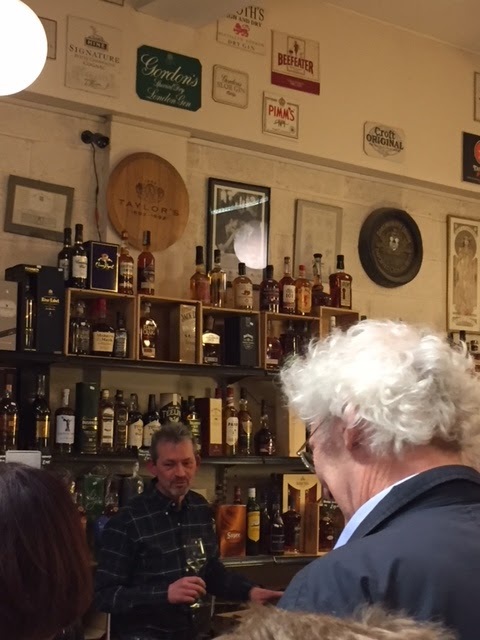 I bought the wines I’ve mentioned. 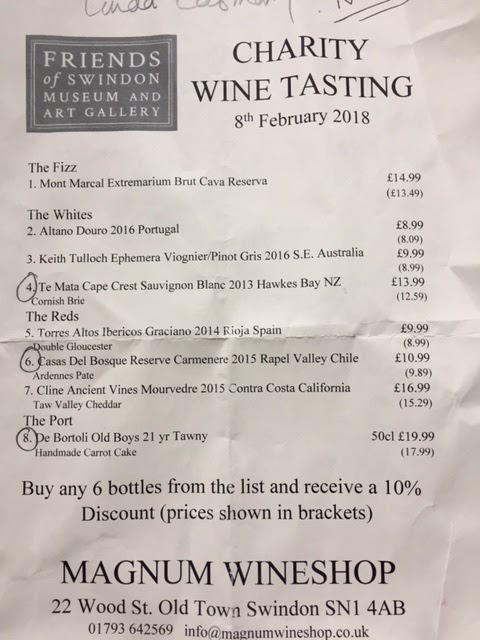 I can give anyone who wants to know what the others were, the full list.